For the second year in a row, Northwestern College students taking the Medical College Admission Test (MCAT) scored among the top 25 percent. The average score of Northwestern students on the 2018 exam was in the 75th percentile. Two students scored in the 91st percentile. An additional factor is a voluntary, non-credit pre-MCAT course Heeg offers using the AdaptPrep software she developed with Dr. Tim Huffman, professor of mathematics at Northwestern. Meeting every other week, science students learn about the exam and then do practice questions with the AdaptPrep MCAT software, to which they receive free access. “AdaptPrep is a software system that from an educational perspective works,” says Heeg. “It doesn’t negate the importance of class time but reinforces the relevance of what we’re doing in class.” Several Northwestern faculty members are among the software’s content contributors. Developers are continually growing the question bank and making adjustments to the program based on student data. The MCAT is taken by 60,000 to 80,000 students each year. Developed and administered by the Association of American Medical Colleges, it was created to help medical school admissions offices assess candidates’ problem solving; critical thinking; and knowledge of natural, behavioral and social science concepts and principles. 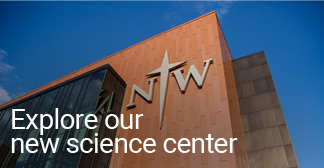 Among last year’s Northwestern College graduates are students who are now pursuing medical studies at the University of Chicago, University of Iowa and Des Moines University. Other recent graduates have enrolled in medical schools at the University of South Dakota, the University of Minnesota-Duluth, Rush Medical College and Rosalind Franklin University in Chicago, and Kirksville College of Osteopathic Medicine in Missouri. Eighty percent of Northwestern’s science majors headed to medical school are accepted the first time they apply; the national matriculation rate for all medical school applicants is just 45 percent.